Swaying, Sashaying and Swinging into September! So summer, is still here and segwaying into September… a time to start again, a time to create dreams and fire works (and we’re not talking about Bonfire Night here!). Let’s keep on enjoying the summer ambience – isn’t it great to make the most of weather, enjoy time outside and know that it is the perfect time to relight the fire in your belly..? You know – that entrepreneurial spirit bursting to get out – once the summer is over it will be time to take action! As Autumn gently reaches out to me, I am contemplating the absolutely amazing year I’ve had already – one where I have published TWO books, won a ‘Women Inspiring Women’ Award and seen my business continue to grow and thrive… It is has been real pinch my self stuff! In all honesty it hasn’t all been plain sailing, but then life never is in my experience! I love how (Women’s Personal Development Community) Damsels in Success Founder Lucie Bradbury says it can be about not having a good day, but a good moment! Firstly – Join Networking Mummies Founder Laura and myself as we get you ‘Blogging for Business’ – for just £15.00, at our workshop in Leamington Spa, Warks, on 10 September. Want to know more? Follow this link for the low down. Pssst – by the way: if you purchase these tickets from the Damsels in Success central office, you will be charged £59.00 plus VAT. Buy them from ME and they will be VAT free, saving you £11.80! At Damsels in Success we know that the best way to take action is to focus on your ‘business agenda’ and then produce a realistic plan for the rest of the year. Here are more benefits waiting for you when you book your seat for your local Damsels in Success meeting! How to put pen to paper and produce a Business Plan that any bank manager would be proud of! How to Receive SUPPORT & RESOURCES & ACCOUNTABILITY to ensure you have ‘Success with Ease’. YOU’LL BE READY TO ROCK THE REST OF THE YEAR! Click here to reserve your free place and I look forward to seeing you, at a national or local Damsels’ event very soon! I am delighted to say that first of all – the F-Factor is my second published book, within seven months! I really have to pinch myself that I am now a published author – full stop! It has been my dream since childhood and when I saw my first book ‘Peachey Letters – Love Letters to Life’ in print, for the very first time – I cried happy tears solidly for 5 minutes, as it was literally the culmination of so many desires, dreams and wishes for me. Now I know that I have always had the desire and talent to be a writer, yet I wonder without Damsels in Success if this ever would have actually happened? Life has many possibilities, yet I know that my book ‘Peachey Letters’ is most definitely the result of my being a Damsel in Success member and Director! Why? When I had the idea to write, as a ‘Damsel in Success’ I recognised all the signs that said, ‘this is right, this is your time’ and I also knew what the obstacles would be – mainly that I would not take action and follow this through. So I set myself a public challenge and started posting my daily ‘love letters to life’ on a blog. And I have had hundreds of ideas for books, films, poems, songs, etc, etc run through my brain in my long life time… But never had I dreamed of writing about such personal issues in such a public domain. Yet the time was right, the subjects were right and still… Still I feared being judged, still I feared being seen as some mad middle-aged woman spilling her emotional guts to a world that wouldn’t be interested. So the first people I shared my letters with were the Damsels in Success community – we have a private online Forum, and on midnight of the day I wrote my first letter, I gingerly posted the link and went to bed cringing about airing my ‘stuff’, yet knowing that I was compelled to do it. “Wow, that letter to your father is so touching. Brave writing Sandie. I shouldn’t have read that, I now have a wet face… My dad … I love him dearly and this beautiful letter is a reminder of all of the good stuff to be treasured. Thank you – blubbering of South Wales. Wow, Sandie, that is fabulous, and I love that picture of the two of you together, such a picture of a strong man, giving you the support to be you! And there it was on day one, after only one letter – people were telling me that I should publish a book! This was a very different experience… The first one was written on my own – now 9 authors were sitting down to write one book! I was excited and curious to see how it would all unfurl, and unfurl it did… This time I had one chapter and some other bits and pieces to write, and it was all effortless and completely joyful. At Damsels in Success one of our mantras is having ‘success with ease’ and it was all that and more. I chose which theme to write my chapter about and that was ‘choice’! I am passionate about women having the realisation that they really can live the lives they choose to and to give them the tools and support to make their dreams come true. I realised my own dreams of becoming a writer and a coach, and I demonstrate how I did this in my part of the book. What IS the ‘F-Factor’ then??? The F-Factor provides the blueprint for you, as a woman, to live your life to the full. It will reveal your truly feminine heart – allowing you the permission and freedom to live as you choose, while giving the best possible love and support to those around you, too. Nine extraordinary women have come together to share one special message – how to have ‘success with ease’ – as a female entrepreneur, and in all other areas of your life. “If you are about to or have taken that amazing leap of faith into an ocean of possibilities and potential, then this book is your navigator… be prepared for an exciting adventure”. Part wisdom, part philosophy and part support, The F-Factor is also packed full of learning and practical exercises. At the very core of the book too, are the life stories that shaped the women behind the fabulous female phenomenon of Damsels in Success – showing us that with the right strategies and support, women every where can live the deeply satisfying lives they choose. “The F-Factor is a delightful book filled with heartfelt stories from ordinary women who decided to choose extraordinary. It’s filled with inspiration and it is packed with food for thought, which will get you thinking and will be a perfect ‘anywhere and anytime’ read for women who know that there is so much more to their lives. The F-Factor combines the wisdom of not just the authors, but a whole national community of Damsels in Success members – women who come together to share learning, love and support. Now for the very first time, this wisdom has been distilled into print – to reach out and touch a whole new audience. On 13 September Damsels in Success are hosting a series of F-Factor Master Classes and will be celebrating the launch of the book with networking and champagne (of course) in London. Attend ‘Find Your F-Factor’ and discover how to attract in those things you have always wanted – what are they for you??? Clients, Relationships, Money, or Opportunities??? This book launch is NOT like any seminar or event you’ve attended before. 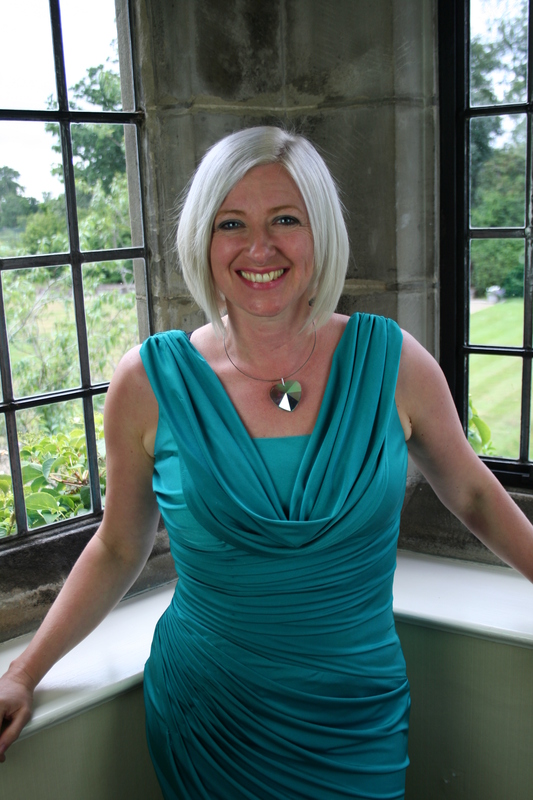 Lucie Bradbury is my mentor, friend and the UK’s Feminine Potential Expert, and last but not least, Founder of Damsels in Success (DIS). Damsels in Success don’t do business like anyone else and our mantra is ‘Success with Ease’. With the help of her team of DIS Directors, Lucie supports the female entrepreneurs to live their dream lives – as thought leaders and change makers in the world. 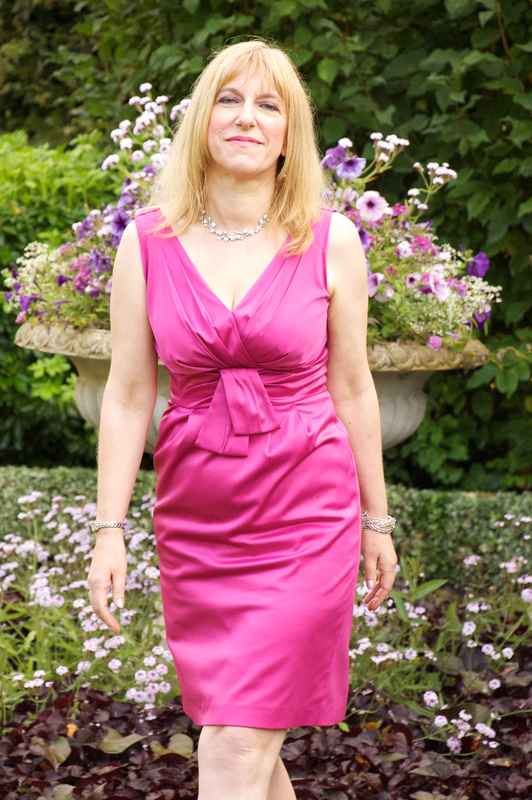 Lucie also founded the ‘Women Inspiring Women Awards’ to recognise the achievements of women who are fabulous role models, and brings together the UK’s most inspirational & aspiring women at the annual summit IGNITE! Lucie is wife to Dan (together they are making a big impact in the world of personal & business development), mum to Summer (4) and Jenson (2), and has mentored many women to create & grow feminine lifestyle businesses… All this, & she only works 1 day a week! 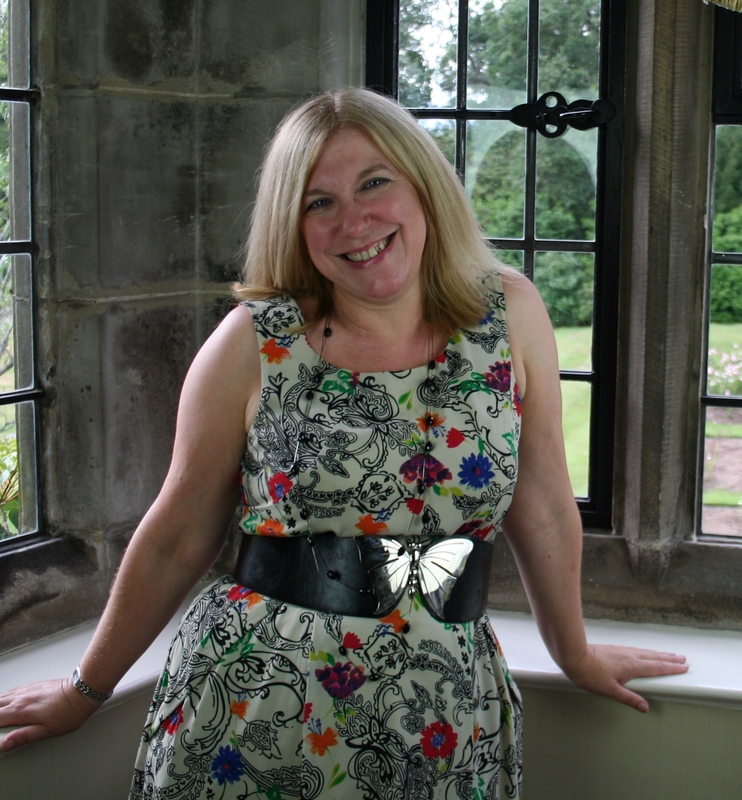 I am a writer, Business coach, and Director of Damsels in Success Burton on Trent. The F-Factor is my second book following the publication of ‘Peachey Letters – Love Letters to Life’ in February 2013’. I work with Corporates, Womanpreneurs and small businesses, ensuring that they reach their goals, targets and live out their dreams. I also write for magazines and regularly appear on BBC Radio. ‘Peachey Letters’ received rave reviews in local and national press, including Psychologies Magazine, The Lady and Best Magazine. During my ‘Find Your F-Factor’ Masterclass, I will be giving my insights into what freedom of choice really means for the way we live our lives and what magic can happen when we choose to fly! And that is just for starters, there will be MORE master classes, networking and celebration within a fabulous high vibration group and environment. With warm regards, laughter and excitement. I still have to pinch myself that I am publishing my second book in a year! This time, the book is a collaboration with the Directors of Damsels in Success. I have been involved with this fabulous female phenomena since its’ earliest days when the first group was created in Warwick. That was five years ago, we have grown from one group to 15 and now, with the release of our book, we are set to share our success strategies for women to an even wider audience. The distilled wisdom of Damsels in Success is now enscapulated in our our published work ‘The F-Factor’. It has been all systems go at Damsels central as we polish the book to perfection, film the promo video and organise the Book Launch and Master Class, set for Friday 13 September. As part of the package you will also receive a copy of the book, get to network and be part of a fantastic high vibration event. Tickets are now on sale at just £59.00. There is also a very special VIP Upgrade, which will include: a goodie bag, lots of additional freebies from the Damsels Directors, PLUS an additional Master Class with Damsels’ Founder Lucie Bradbury on how a team of 9 women came together and created a phenomenal book and an amazing marketing process. If you have any comments or questions on any of this, please let me know??? Well, that is more than enough excitement for now – enjoy the rest of your summer! Wow, that letter to your father is so touching. May you always have lots of love in your life. Sandie this letter to your Dad is so beautiful I cried … I thank you for your wonderful open hearted letter which enabled me to be open about my current journey. I shouldn’t have read that, I now have a wet face… 🙂 My dad … I love him dearly and this beautiful letter is a reminder of all of the good stuff to be treasured. Thank you – blubbering of South Wales. Gosh, ladies, I went to bed last night, feeling a little embarrassed with myself, my script telling me that I was being rather self indulgent and attention seeking and no one would notice! Glad I ignored it. Thank you so much for your lovely comments. My Friday is definitely made 🙂 And if you would like to see a little more of my dad’s life, take a look at the photo album I created on his last birthday. Sandie, you brought me to tears. Such beautiful letters from a beautiful woman. What a wonderful thing to do, very touching and very real. A fabulous idea and wonderful share Sandie – bless you. What a fab idea. It brought tears to my eyes too. It also made me realise that I should write letters to my parents too while they are here to read them. Thanks for sharing, you are a wonderful writer, I look forward to reading the next one! Loving this – we are all blessed with your writing, your love & your courage. Thank you sooooo much for your beautiful letter and for your love, it’s fabulous the way you are able to express your feelings with sensitivity and humour, a real talent. Lovely Sandra. Thanks for sharing. I really love this message Sandra. An amazing process to go through Sandie, and very powerful letters. I am loving your letters Sandie – you write beautifully with wisdom & grace. Thank you for the acknowledgement – which says so much about the gorgeous goddess that you are. Thanks for the letter and all the effort you put into your relationships. You are a true friend. Your letters are brilliant. What an amazing talent you have. Wow. I love this letter [to Every Woman]. Thank You for taking the time to put this in writing so beautifully. Every woman on the planet should read it. How many emotions you pass on to me through this letter; smiles at you being hauled up in front of the – Head AKA Care Manager of the Home; tears when you mention your Mum’s broken childhood and then “all those dark words were not really you”; relief and joy for you when you describe the love creating a force field around you. The honesty, not ducking the hard parts, make it so much more real as a love letter … everyone has their darker moments or the things that are difficult to say to someone so close as a mother. I really smiled when you mentioned your “Karma” to Arthur – it’s a lovely way to see it. If fact the whole letter is so beautifully written, I can see how you’re able to help so many others on a very deep level. You do have a precious gift. What a gift that is – coming through all your life and coming to this point of deep peace and love. And you’ve had the honesty to share it. I just feel so touched and humbled. Thank you for sharing your letters with us all. You have such a wonderful gift with words … your recent letter, the truth and feeling within … Wishing you joy. A few points felt brutal to read – but then I know love & truth go hand in hand. I am so honoured & grateful that you would write to me (and appreciate too that you have graciously asked for my approval before going public). Keep it up – I have a feeling there is nothing stopping you now & yes I can’t wait to see where our wings will take us. And you are quite the writer too my lovely! Just re-read your lovely letter to me and Richard, and I just wanted to tell you once again how much it means to us both … your writing is so wonderfully poetic whilst at the same time being merrily mischievous, just like you … really feel you could create a beautiful book with all of these when February is finished … I’d buy your first copy. I have commented on a few of your letters already, but wanted to tell you, I have found them really moving and I feel like I have got to know you better through them too. I really think you have a career as a writer – or at least as part of your strategy – you write beautifully. Well done for committing and sticking to your promise! You have also inspired me to write some letters … So thank you for inspiring me Sandie. I am sure you have inspired many more. [Letter to Money] My heart’s opened. What a beautiful thing you are doing!!!! And so it is!!!! Thank you so much everyone for sharing your words, thoughts and emotions with me. My heart is full. It’s February 2012 and already it’s been a funny old year. I’ve been a single girl for 12 months, during which time I also started my own business, moved house, wrote a book, forgot who I was, remembered who I was and that was just the tip of the iceberg! As a woman I’m a creature of many facets: I have a family, a past, a company, friends, hobbies, thoughts, feelings, talents and am made up of umpteen influences, inheritances, joys, sorrows and impulses. In this age of reality TV and soap opera, so much is shared, so often. I’m not usually a fan of being a fictional or real fly on the wall when I know there is a director and cameraman on hand. Often I find real life so much more fascinating and of course, my OWN life to be the most fascinating of all! So in the spirit of secrecy of you may not see ALL my letters here, as some may be TOO personal or share information that is the rightful possession of others, yet (at least) 29 there will be, out there in the ether and my gifts to their receivers. Well dear world, on that note, I’m tired and light headed and it’s time to wind down to sleep now, so here endeth the first letter.